Shondricka Adams Killed, Teen Injured in Macon Apartment Shooting; Was This Tragedy Preventable? Could This Macon Apartment Shooting Have Been Prevented and Is Justice Available to the Victim’s Family? Gunfire reportedly erupted at the Davis Homes apartment complex in Macon Thursday morning, May 10, 2018, claiming the life of 18-year-old Shondricka J’nay Adams and leaving a 16-year-old boy injured. 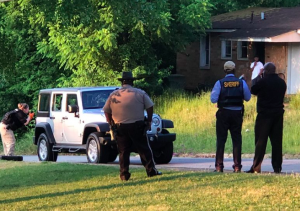 According to The Macon Telegraph, officers responded to the “Davis Homes” complex, at 286 Leaf Street, shortly after 5:00 a.m. Ms. Adams was discovered with fatal injuries at the scene. A 16-year-old victim was transported to the hospital with a gunshot wound to the leg. Police are still searching for a suspect and motive, per WGXA reports. Miss Adams had celebrated her 18th birthday only the day before. “She was in there dancing last night and she’s gone today,”a family member told The Macon Telegraph. Miss Adams had left the festivities to bring her older sister, who was giving birth, to the hospital. Tragically, she never returned. Was negligent security a factor in this senseless loss and could this incident have been prevented? Read Our Legal Take below to find out if the victim’s family may have legal avenues for justice and claims for substantial compensation in Georgia. Have there been prior incidents of crime on or near property? What security measures, such as bright lighting, surveillance cameras and security patrols, were in place to protect residents and deter crime at the time of the shooting? By law, property owners in Georgia are required to protect all those legally on the premises from any foreseeable harm. Should the facts of this matter reveal that the apartment complex owner or management failed to provide adequate security, the family of Shondricka Adams may seek justice and elect to pursue legal claims for her wrongful death. Additionally, the other young victim of this shooting may pursue legal claims for his injuries.